Our studio is officially complete, and we have been moving in and setting up shop before we head out for some time up north. With all the new space and exciting options for creating our minds are a little overwhelmed with how this space will change our life now that it is complete. Don’t worry a tour is coming VERY soon. One of the exciting parts of putting together our dream office space is updating some old routines of our process. 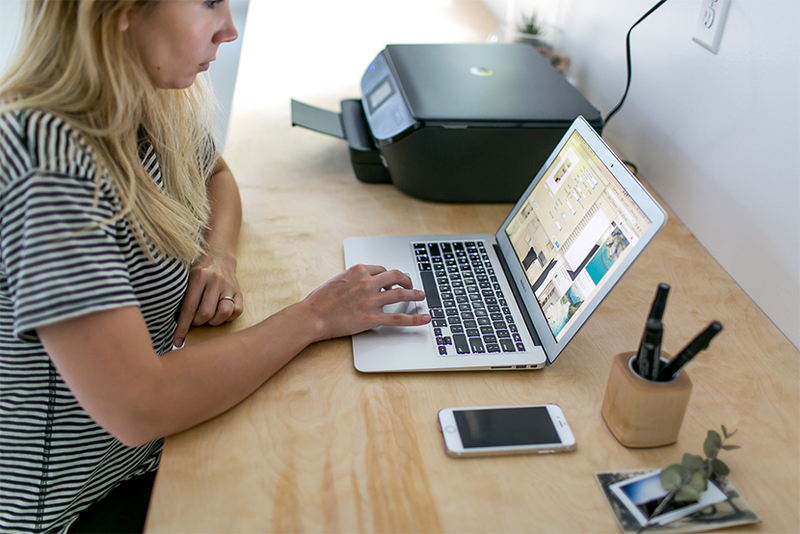 We made a major upgrade and now have an HP Envy printer stocked with Instant Ink. It was an easy upgrade, but one that we are already putting to good use. 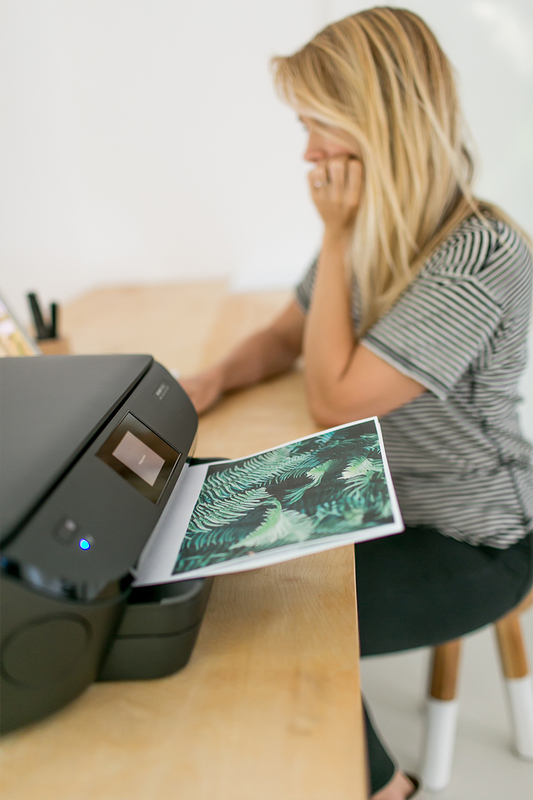 The Envy prints quickly and makes creating as easy as a click of print, but the HP Instant Ink is the even more exciting part. The ink program is set up to make sure you aren’t mid project and running out of the ink you need to finish an idea or process. 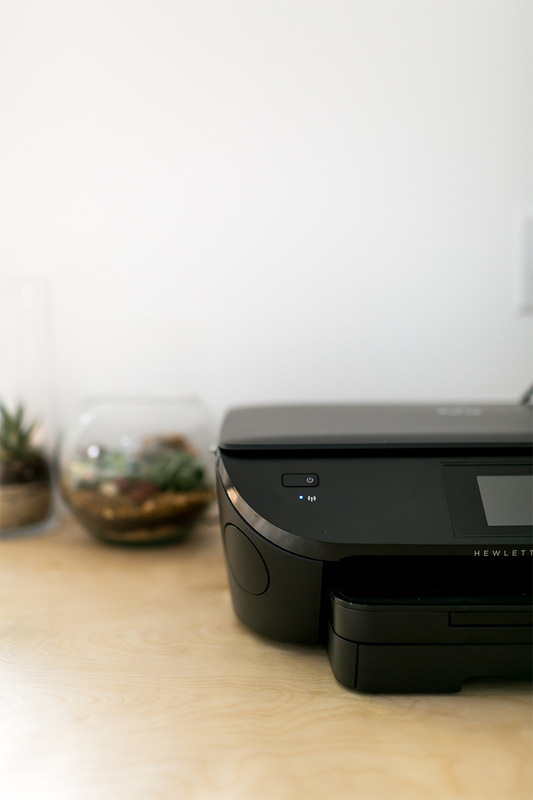 All you do is purchase an HP Instant Ink eligible HP printer, instant ink cartridge, register it with sign up for HP Instant Ink, and HP will send you new ink cartridges before you run out. When you start getting low on ink, you will receive a new cartridge that’s ready to load. This means that creating doesn’t have to slow down. 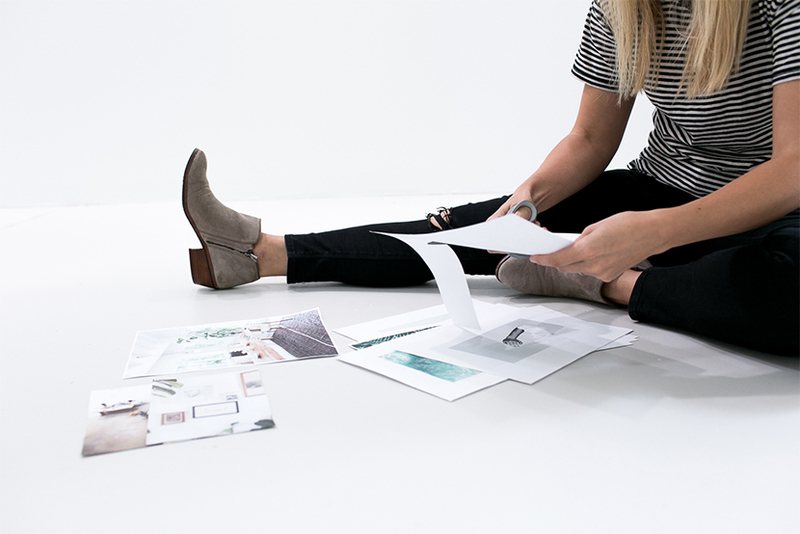 It is an exciting thing for our creative process because we love creating mood boards and pinning up images that are inspiring new shoots and ideas. Our new space has given us the space to practice a routine we both often practiced at college where we would create a “shrine to an idea.” This is also more commonly known as a mood board, so we can stick with that term for now. You have seen us make them before for other projects, but now that we have space in our studio, we are excited to pull together multiple ideas in our space. This way as ideas come to mind we have room to let things flow freely. Since most of the time it is very easy to concept ideas on your computer with Pinterest and Photoshop, we wanted to inspire you to create more mood boards offline. 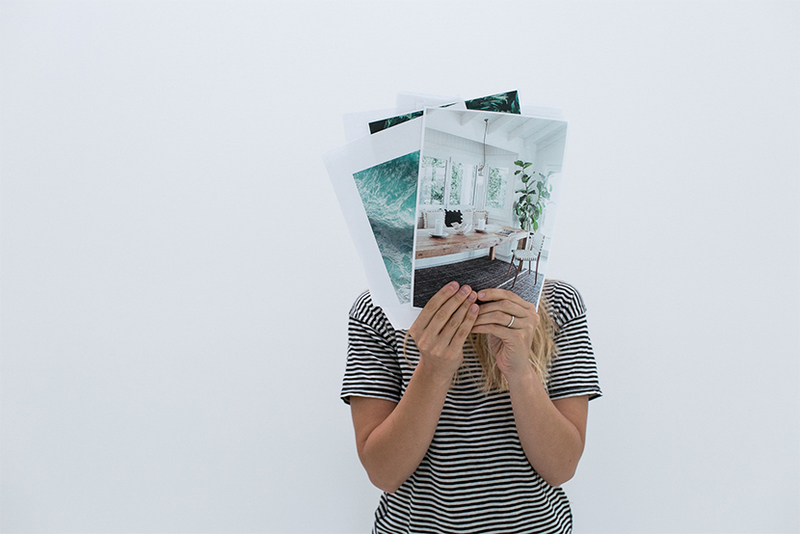 To help get you started, we thought we would show you how we go from idea to creating a mood board that helps us communicate our vision easily and thoroughly to each other. 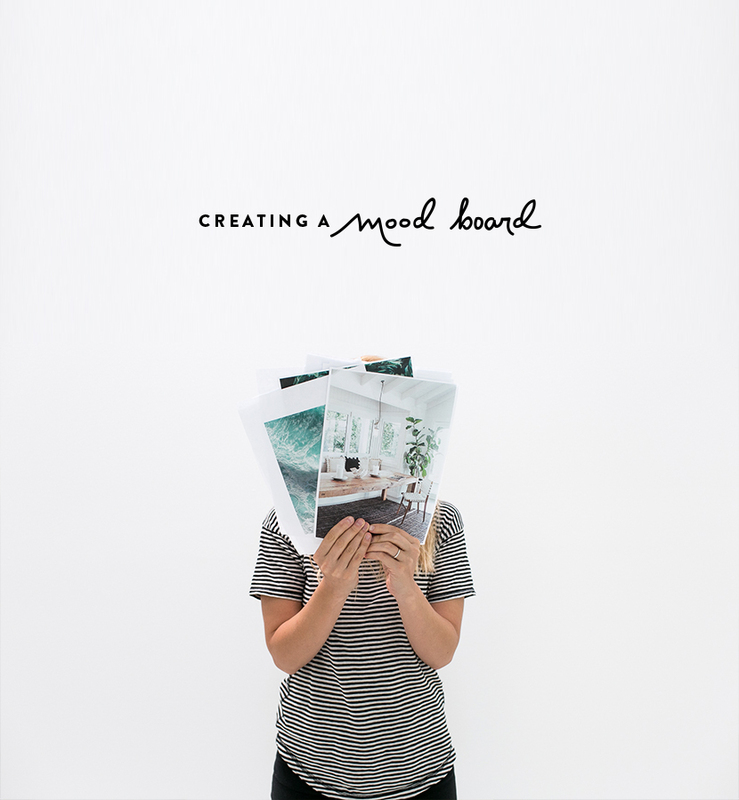 Watch the video below to hear exactly how we develop our mood boards! Seeing all our ideas on Pinterest is great, but pulling them all together, talking through the details and being present with a concept helps ideas come to life more clearly for us. We hope these few tips will help you start taking ideas off your screen and into your hands and creating more no matter what you are dreaming of right now. Thank you for supporting our sponsor such as HP Instant Ink in allowing us share ideas with you. All opinions and thoughts are our own.